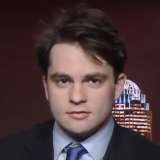 Sam Westrop has headed the Middle East Forum’s Islamist Watch project since March 2017. Previously, he founded and ran Stand for Peace, a London-based counter-extremism organization that monitored Islamist movements throughout the UK, and which advised journalists, government ministers and documentary-makers on the subjects of extremism, radicalization and terror. His writings have appeared at such publications as National Review, National Post, The Hill, UAE’s The National, and Pakistan’s Dunya News; and he regularly speaks on the subject of Islamism on radio and television channels, including the BBC and Al Jazeera. In 2016, he contributed a chapter – on the Deobandi movement in the United Kingdom and its relationship to extant Islamist groups – to a study of Deobandi Islam published by Palgrave Macmillan.